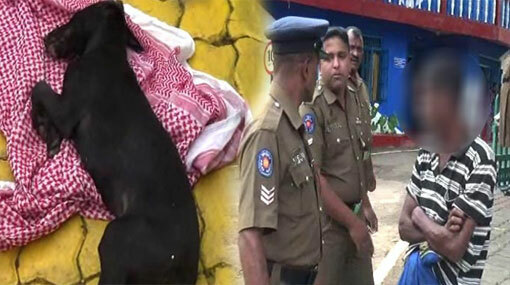 Balangoda Magistrate’s Court has ordered to further remand the suspect, who was arrested from Massenna area in Balangoda over the charges of killing a pet dog by sexually abusing it, until January 31, Ada Derana reporter said. The Balangoda Magistrate Jayaruwan Dissanayake had issued this order when the suspect was presented before the court yesterday (17). Ada Derana reporter added that no attorney had appeared on behalf of the defendant. The Chief Magistrate has also called for a psychiatrist’s report on the mental health of the suspect. The 50-year-old suspect was arrested on the 14th of January for allegedly murdering a pet dog belonging to his neighbour by sexually abusing it.